Computer Hardware, Software, Education Ki Jankari! Home computer What Is Difference Between Hardware and Software in Hindi? 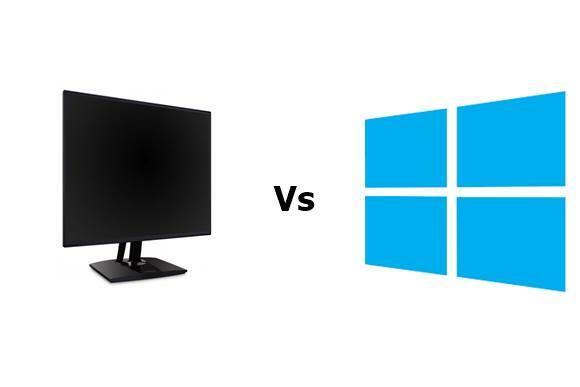 What Is Difference Between Hardware and Software in Hindi? Difference Between Hardware and Software in Hindi, Dosto Aaj Hum Is Post Mein Computer Hardware Aur Software Kya Antar Hai, What is Hardware And Software In Hindi, Types Of Hardware And Software, Relationship Between Hardware And Software Kya Hai, Software Aur Hardware Ke Examples In Sab Ke Bare Mein Janege. Computer Hardware Aur Software Kya Antar Hai (Difference Between Hardware and Software in Hindi)? Computer Hardware Physical Part Hote Hai, CUP, RAM, Hard Disk, Monitor Etc Yeh Sab Hardware Mein Ate Hai. Aur Computer Software Code Ya Programs Hote Hai, Examples - Antivirus, Web Browser, MS-Word Etc Yeh Sab Software Mein Ate Hai. Computer Hardware Kya Hai (What Is Computer Hardware In Hindi)? Computer Hardware Kya Hai (What Is Computer Hardware In Hindi), Hardware Ko Aap Computer Ke Dil Bhi Keh Sakte Hai. Hardware Physical Part Hote Hai Jo Hum Dekh Sakte Hai Aur Su (Touch) Bhi Sakte Hai. Aap Jo Abhi Is Article Ko Par Rahe Hai Screen Ya Monitor Mein Wo Ek Hardware Hai. Ek Computer Mein Bahut Sare Hardware Hote, Example Of Hardware – CPU, Power Supply, RAM, Monitor, Hard Disk, Printer, Scanner, Mouse, Keyboard, Speaker, Motherboard, Graphics card, DVD Drive. Kya Computer Bina Hardware Ke Sal Sakte Hai? Jadatar Computer Mein Display (Monitor), Hard Drive, CPU (Processor), RAM (Memory), Power Supply, Motherboard, Keyboard, Video Card In Sab Ki Require Hote Hai Kaam Karne Ke Liye Ek Computer Ko. Agar Inmein Se Koi Bhi Missing Honge Toh Aapke Computer Kaam Nahi Karege. Iske Yalaba Mouse, Printer, Scanner, Sound Card, CD Drive, DVD Drive, Modem, Speaker, In Sab Ki Koi Require Nahi Hote In Ke Yalaba Bhi Computer Sal Sakte Hai. 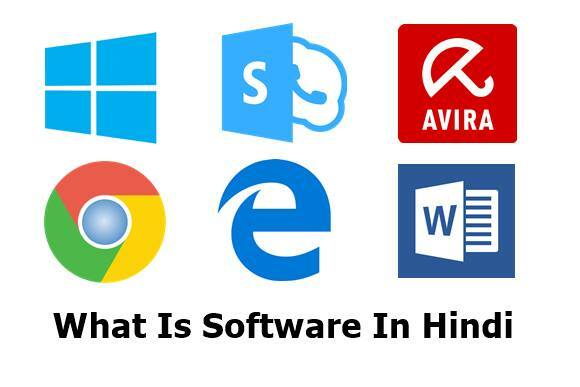 Software Kya Hai (What Is Software In Hindi)? Software Kise Kehte Hai Ya Toh Phir Software Kya Hai, Simple Word Mein Kaha Jai Toh Software Bahut Sare Program Ke Collection Hai Jo Ek Task Ko Pura Karne Ke Liye Banaye Jata Hai. Hum Aapne Computer Mein Jitne Bhi Kaam (Task) Karte Hai Wo Sab Software Ke Dwara Hota Hai. Software Akela Kaam Nahi Karta Uske Liye Hardware Ki Bhi Zarurat Hai, Bina Hardware Ke Software Kaam (Task) Nahi Kar Sakta. SW Ke Bina Hardware Nahi Sal Sakta Aur Hardware Ke Bina Software Nahi Sal Sakta. Abhi Aap Jo Bhi Mobile Ke Display Ya Computer Ke Monitor Mein Dekh Rahe Hai Wo Bhi Software/Apps Ke Waje Se. Example Of Software – Software 3 Types Ke Hote Hai, 1. System Software 2. Application Software 3. Utility Software. System Software Mein Operating Systems Aate Hai Jaise – Android, Windows, Mac Etc. Application Software Mein Web Browser, MS Word, Whatsapps Etc. Aur Utility Software Mein Computer Ko Manage, Maintain Aur Control Karne Ke Liye Utility Software Use Kiya Jata Hai. Kya Computer Bina Software Ke Sal Sakte Hai? Computer Bina Software Ke Sal Sakte Hai, Lekin Koi Bhi Output Nahi Dega Black Screen Dekhaigi. Aapke Computer Ke Monitor Mein Agar Output Dena Hai Toh Aapko Operating System (System Software) Install Karne Honge. Tabhi Aapko Output Dega. Uske Baad Aap Koi Bhi Software (Application Software) Install Kar Sakte Hai Aapke Task Ko Leke, Jaise – Agar Aapko Song Play Karne Hai Toh Uske Liye VLC Player Install Karne Honge. VLC Player Ek Application Software Hai. Aur Bhi Application Software Hai Photoshop, Chrome Etc. Hardware Aur Software Dono Mil Kaam Karte Hai, Koi Bhi Task Ko Pura Karne Ke Liye Hardware Aur Software Milke Kaam Karte Hai. Hardware Ke Bina Software Aur Software Ke Bina Hardware Kaam Nahi Kar Sakta. Computer Mein Koi Bhi Kaam Karte Ke Liye Hardware Mein Software Ko Install Karne Hote Hai. Difference Between Hardware And Software In Hindi? Hardware Aur Software Mein Bahut He Difference Hai, Jo Humne Niche Diye Hai Un Ke Difference. Computer Mein Jo Physical Parts Hote Hai Un Sab Ko Hardware Kehte Hai. Computer Mein Kuch Code/Programs Ke Instructions Hote Hai Un Ko Software Kehte Hai. Hardware Ko Hum Touch Karke Feel Kar Sakte Hai. Software Ko Hum Touch Ya Feel Nahi Kar Sakte. 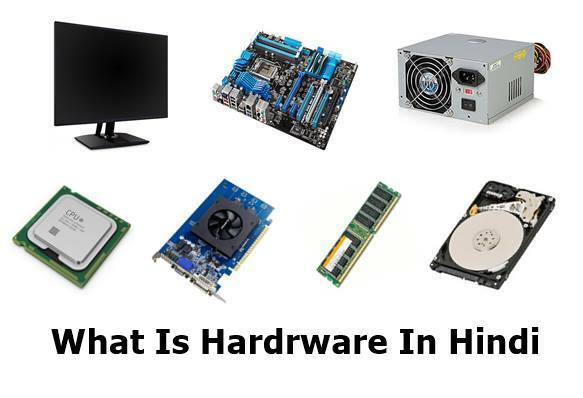 Hardware Mein Kuch Physical Parts Components Ko Jor Ke Hardware Hota Hai, Exa – RAM, CPU, Hard Disk. Software Ko Programming Language Ke Dwara Developed Kiya Jata Hai. Hardware Kharab Hone Se, Usko Hum Replaced Kar Sakte Hai Naye Ke Sat. Software Kharab(Damaged) / Corrupted Hone Hume Usko Reinstall Karne Hote Hai. Hardware Computer Viruses Se Kharab (Affected) Nahi Hota Hai. Software Computer Viruses Se Kharab (Affected) Hota Hai. Ek Jagah Se Dusre Jagah Mein Hardware Ko Vej (Sent) Nahi Kar Sakte Internet Ke Dwara. Software Ko Vej (Sent) Kar Sakte Hai Internet Ke Dwara. Hardware Ke Duplicate Copies Nahi Bane Sakte. Software Ke Duplicate Copies Bana Sakte Hai. Agar AapKo Difference Between Hardware and Software in Hindi Yeh Post Helpful Laga Hai Toh Aapne Friends Aur Family Ke Sat Jarur Share Kare. Aapne Agar Hamare Yeh Blog Subscribe Nahi Kiya Hai Toh Karle Taki Jab Bhi Hum Naye Post Dale To Aapko Notification Mile. Thank You. VPN Kya Hai (What Is VPN In Hindi)? Kaise Ek Ethical Hacker Bane (How To Become A Ethical Hacker In Hindi)? Software Kya Hai (How To Become Software Engineering Hindi)? APN Kya Hai (What Is APN in Hindi)? MBA Kya Hai? What Is MBA Full Information All About MBA? We Provide Computer Basic And Advanced Level Knowledge, Computer Hardware, Software, Computer Field Related Articals For Free. We Hope You'll Find Useful. Copyright © 2019 Hindi Me All Right Reserved.